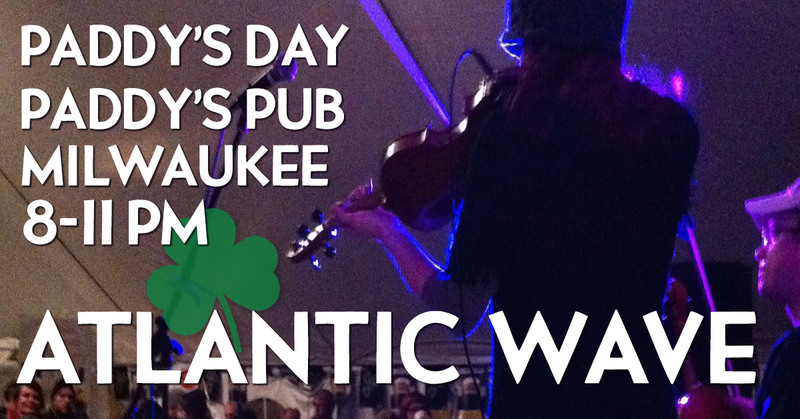 Join us as we rattle the rafters St. Patrick's Day at Paddy's Pub on Milwaukee's East Side. No cover! Lots of live music at the Post-Parade party! At the ICHC, 2133 W Wisconsin Ave. in downtown Milwaukee. 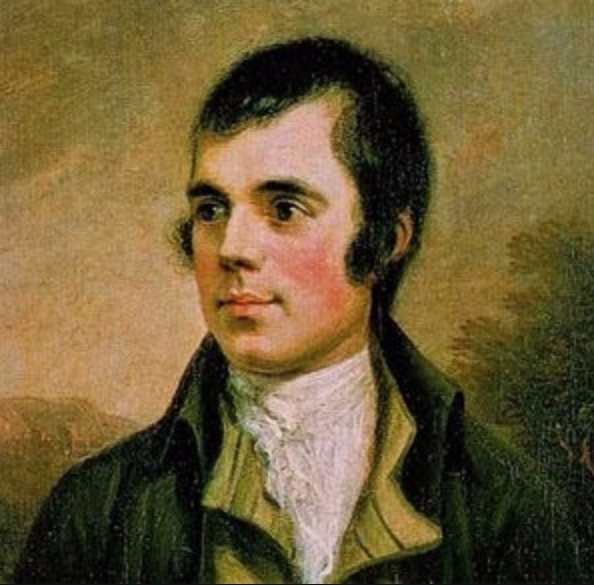 Join us as we play at the Saint Andrews Society of Milwaukee's annual Robert Burns Banquet! 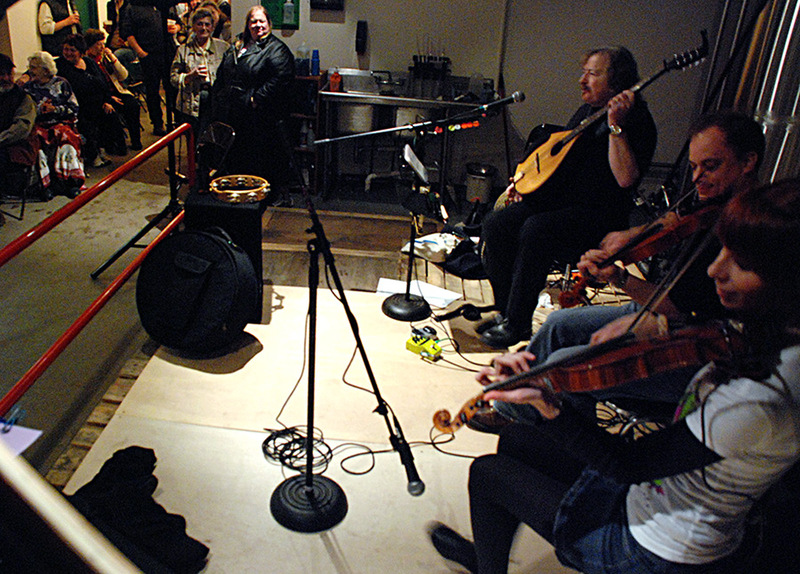 We'll be playing some Scottish tunes to get the evening going, and of course, some Robert Burns songs as well. It's at the Wisconsin Club in downtown Milwaukee. Ticket and even info here. 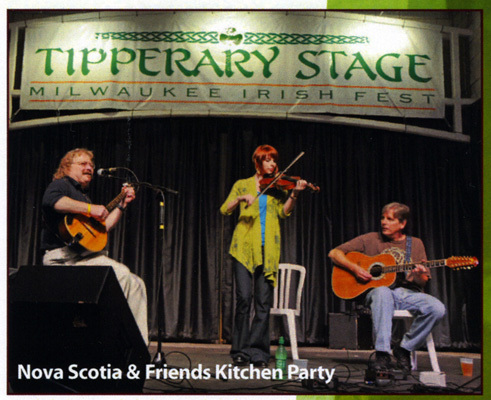 Come join us at Milwaukee Irish Fest! We'll be rattling the rafters at the Village Pub on Saturday afternoon. Cold pints, a cool lake breeze, and hot tunes. Looking forward to seeing you all there! Here's the schedule. We're back in Black River Falls, Wisconsin at the Sand Creek Brewing Co. for the first time in way too long! Come join us for tunes and pints! We'll be playing in front of the brew kettles from 6 to 9 pm. Admission is free. 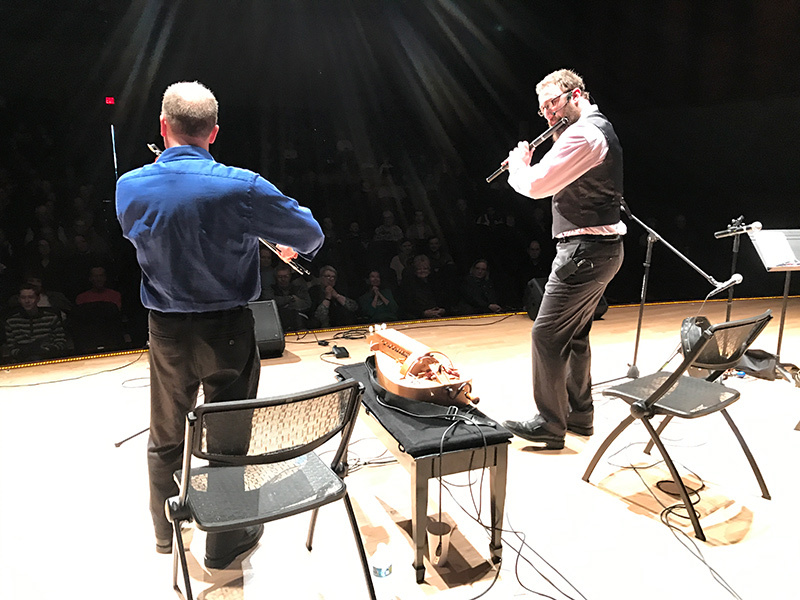 Ed and James playing a duet at Silver Lake College. Then you can listen to Atlantic Wave! And we've started an Atlantic Wave Radio station on Pandora. Simlar artists include Liz Carroll, John Doyle, Martin Hayes, Celtic Fiddle Festival, Tony McManus, and Boys of the Lough. 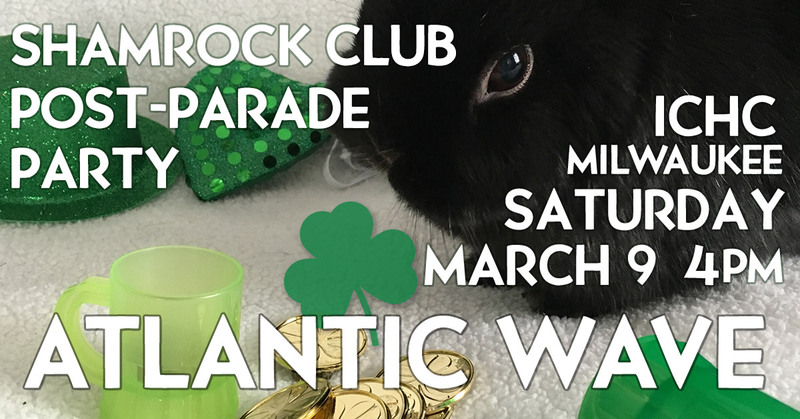 Atlantic Wave is a Milwaukee Irish band playing the traditional music of Ireland, Scotland, and Cape Breton, Nova Scotia. Their "contemporary trad" style features a pair of fiddlers, a lead singer on guitar, and a bouzouki & bodhran player, and they're known for their lively, high-energy live shows that combine jigs, reels, strathspeys, and the like, with songs and ballads both old and modern. 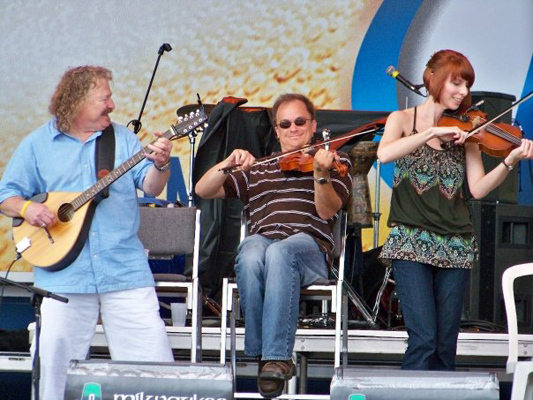 Atlantic Wave formed in 2004 from the pubs and sessions around Milwaukee, Wisconsin, taking the band's name from an Irish reel and because they play music from countries touching the Atlantic Ocean. 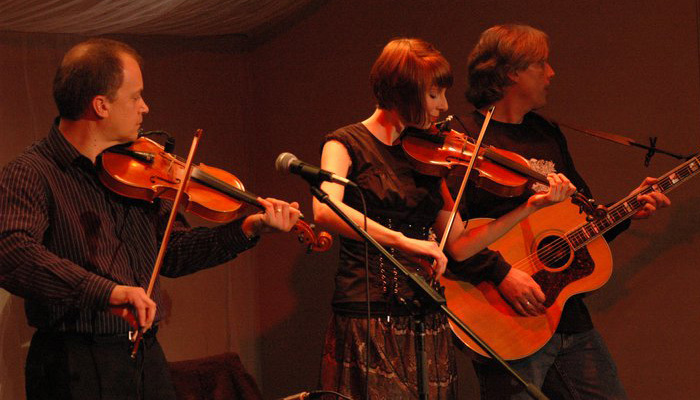 Over the years they have developed their own style with a unique mix of their Irish, Scottish, Canadian and American influences. 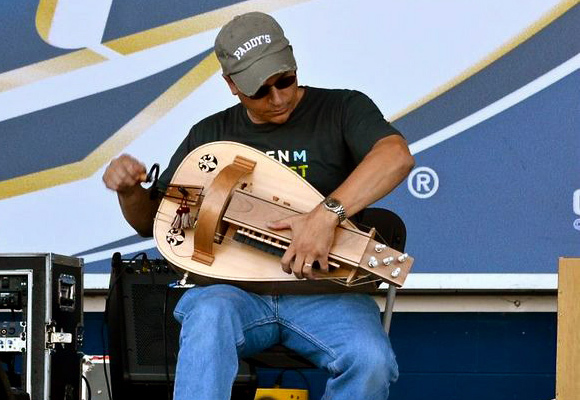 They have built up a large repertoire of songs and tunes, but often throw caution to the wind during live performances, and "wing it" with long impromptu sets of tunes. Atlantic Wave is available for live performances. If you need an Irish or Scottish band for a festival, special event, Irish pub, private function, or other musical venue, just drop us a line at our Contact Page.